BAKERSFIELD, Ca. 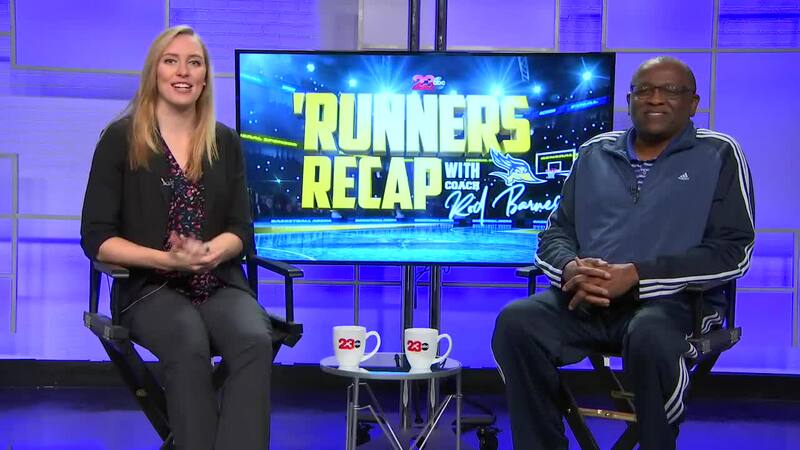 — Episode 18 of the 'Runners Recap with Rod Barnes. A weekly segment on 23ABC where Kari Osep sits down with head coach Rod Barnes of the CSUB men's basketball program. A week removed from the high of being on top of the WAC standings and had a perfect home record, the 'Runners are currently riding a three-game losing streak and sit tied in fourth in the standings. Coach Barnes discusses the emotions of the team coming off of these losses at the Icardo Center and how the team will use them as motivation moving forward. He also previews the upcoming games against two conference teams CSUB has previously beaten, Chicago State and UM-Kansas City as the team looks for a bounce back on the road.